Here are some photos of the trips that we went on and will continue to have more specialized biking trips in Taiwan to come in the future. Sun Moon Lake Bike Route CNN named this one of the top 10 biking route in the world! Sun Moon Lake bike route is selected as the best route for a leisure ride at any time of the year since it is in the center of Taiwan. The total distance around the lake is only 30km and with many attractions that you could stop and take a break to explore more of the local culture and food of the aboriginal tribes. Taiwan's east coast is considered to be the islands most beautiful part, so we went on a bike trip from Hualien county to Taitung county, of course with over-night stops. It is an amazing experience which everyone who comes visit Taiwan should try. Besides the regular bike ride on the road, there are also a lot of country side bike paths like riverside route, forest bikeway and bike riding in the rice field. Kenting is the most southern point of Taiwan and an incredible place to visit. Seaside bike rides have never been more awesome than in Kenting. Houfeng and Dongfeng bike paths are built along the original route of an old mountain railway line, stretching across 4 districts. Traveling along this bike path you will encounter breathtaking mountain and river views, a long steel bridge, tunnel and green village, all in one relaxing bike ride. Sanxia old street is one of many historical places that anyone should not miss while travelling around in Taiwan. You can find a cluster of ancient buildings and the Baroque inspired elevated archways. Taitung is an amazing place to visit and go biking! There are a lot of beautiful tourist attractions, one of them is Taitung's Beach Park. The park stretches right along the seaside and has gougers artistic items, one of them being a bamboo sculpture, made entirely from bamboo, using no needle! Kaohsiung has a lot of touristic potential and offers many attractions for bike fans also. One of them is the bike path along the Love River, beautiful and fun! If you are a bike fan and a beer fan at the same time, than you would, for sure, want to visit Taichung's Taiwan Beer Factory. Taiwan beer is a very appreciated beer by people around the world. 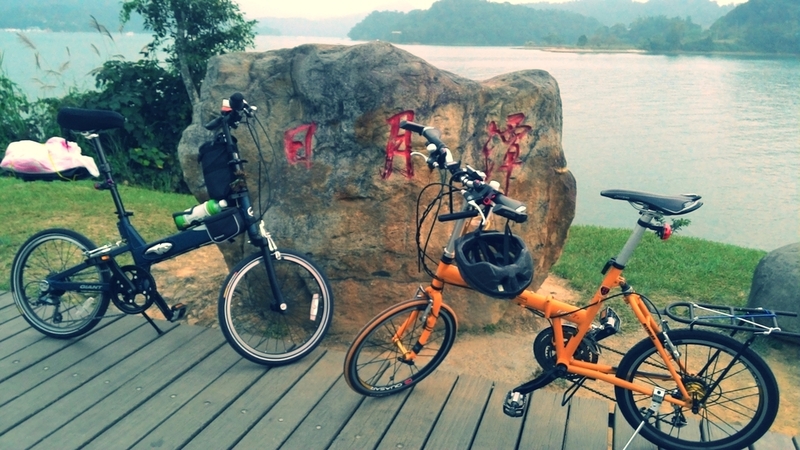 Taipei has a lot of fun places to go casual biking and Bitan is one of them, just perfect for a Sunday afternoon. At the Pen Bay National Leisure Zone there is a Round-the-Bay Bike Rental. The scenic ride along the 11.6 km round-the-bay biking path is really enjoyable and offers tourists other activities along the way like a variety of water activities such as ecological lagoon tours, canoeing, windsurfing and boat-rowing. Besides recreational bike trips, we also like to join special bike events, like the Velo-City Global Bike Parade in Taipei, a fun ride with many cycling enthusiasts.